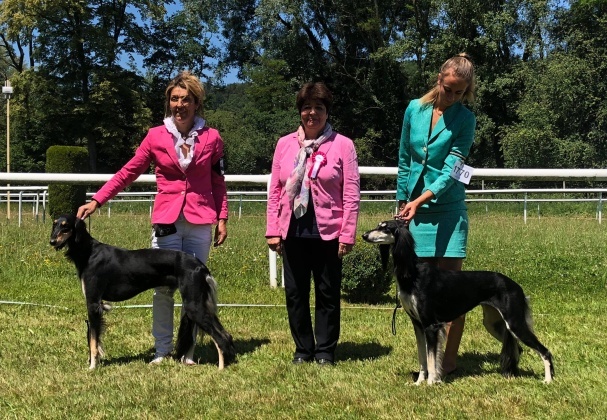 HADISSE JUNIOR BEST IN GROUP AND BEST IN GROUP 3! JCh. 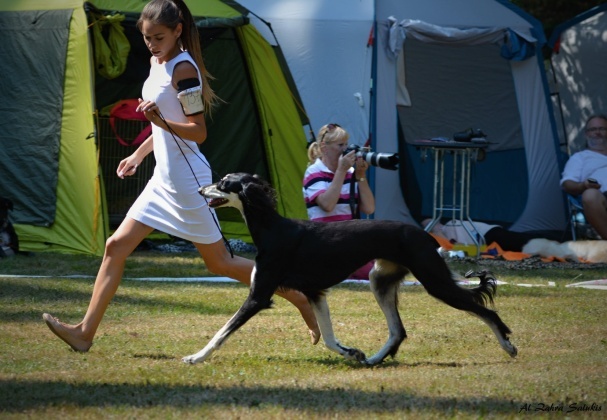 Hadisse Al Zahra - EXC1 , CAJC, Junior BOB, BOB, Junior BEST IN GROUP, BEST IN GROUP 3 > NEW CZECH JUNIOR CHAMPION! 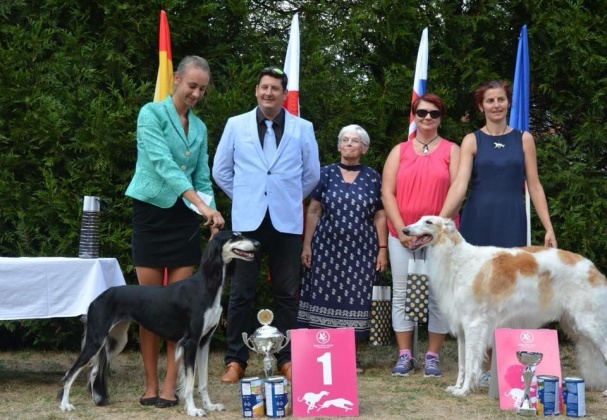 GLORIA NEW CZECH GRAND CHAMPION, CHAMPION ČMKU A INTERCHAMPION! 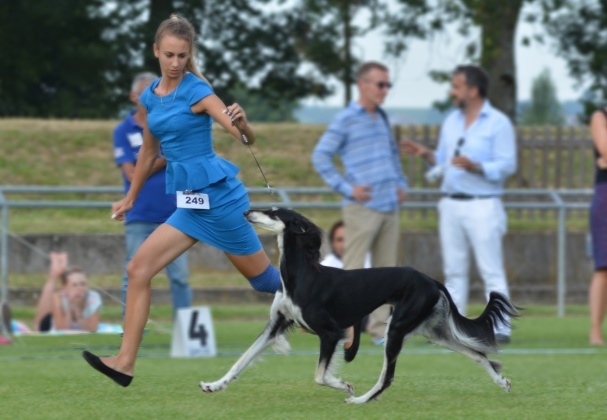 EU JW 2017, EJSH 2017, BIS, JBIS, Ch., Grand & Multi JCh. 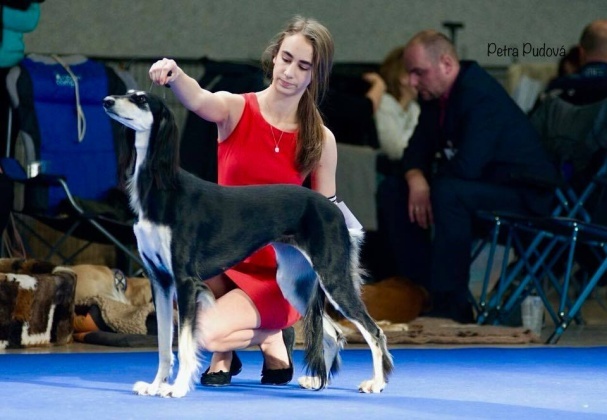 Gloria Al Zahra - Exc. 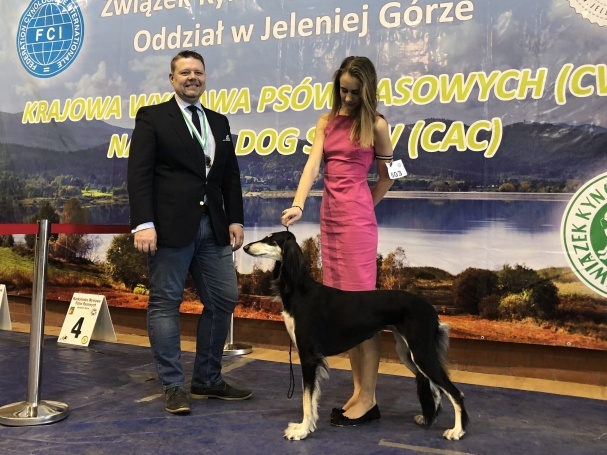 1 /3, CAC, CAC ČMKU, CACIB BOS > NEW CZECH GRAND CHAMPION, CHAMPION ČMKU A INTERCHAMPION! 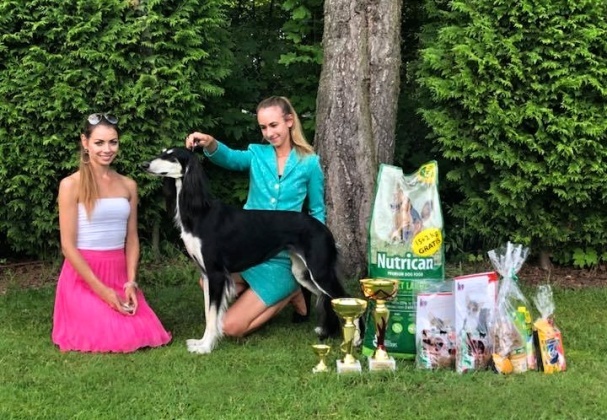 HARMONY NEW CZECH JUNIOR CHAMPION! 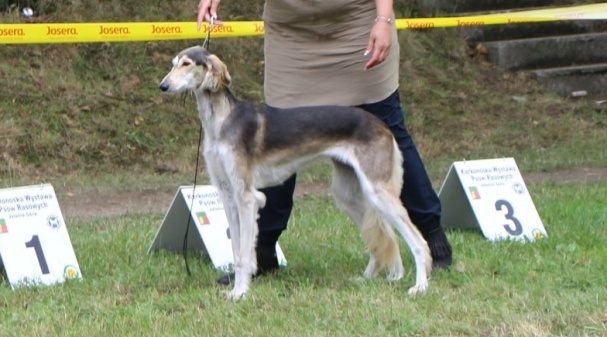 Harmony Al Zahra - Exc. 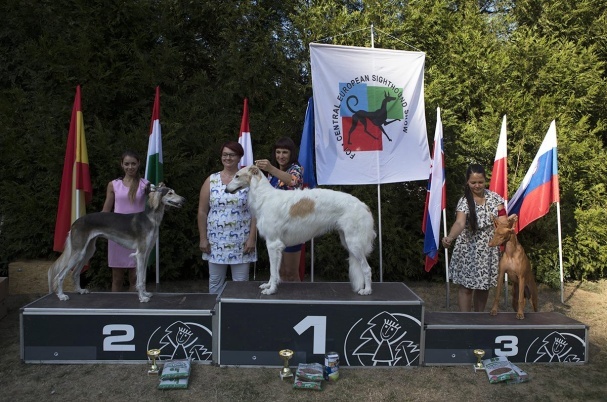 1 /2, CAJC, Junior BOB, JBIS 3 > NEW CZECH JUNIOR CHAMPION! 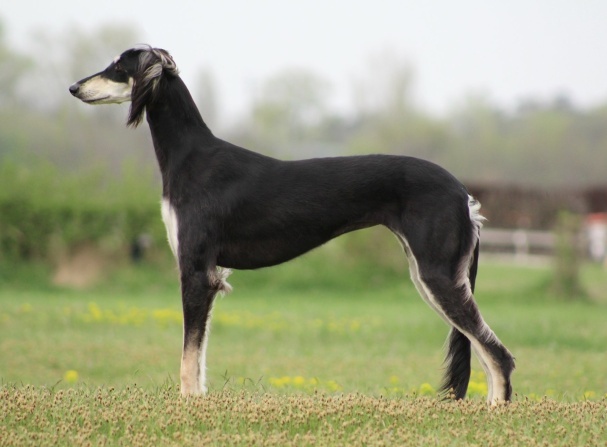 BREEDING GROUP Al Zahra - BEST IN SHOW Best Breeding Group! 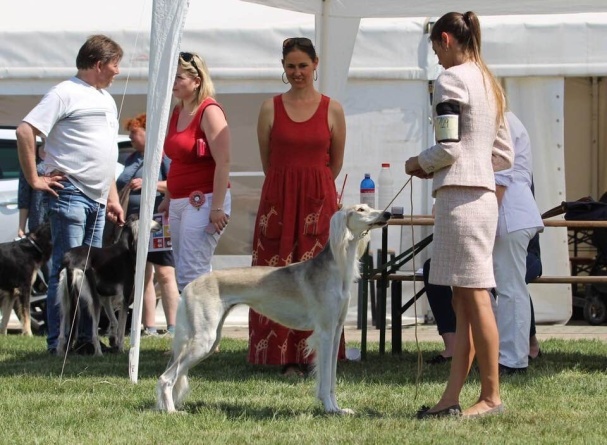 BREEDING GROUP AL ZAHRA AGAIN BEST IN SHOW! 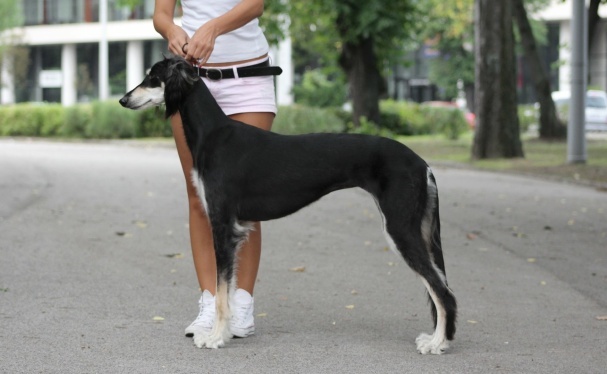 Hatima Al Zahra - Exc. 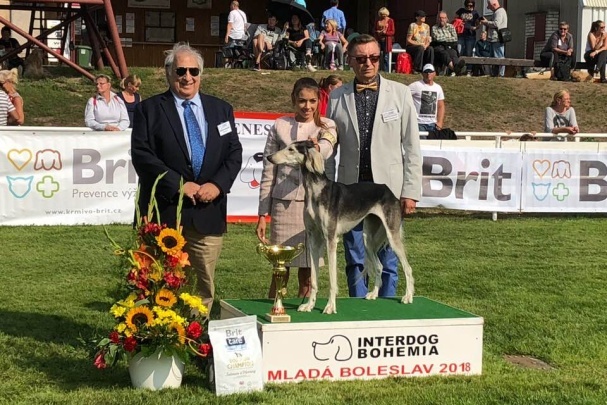 1, CAJC, Junior BOB, Central European Junior winner 2018, BOB, JBIS 2 > NEW CZECH JUNIOR CHAMPION! Habib Al Zahra - Exc. 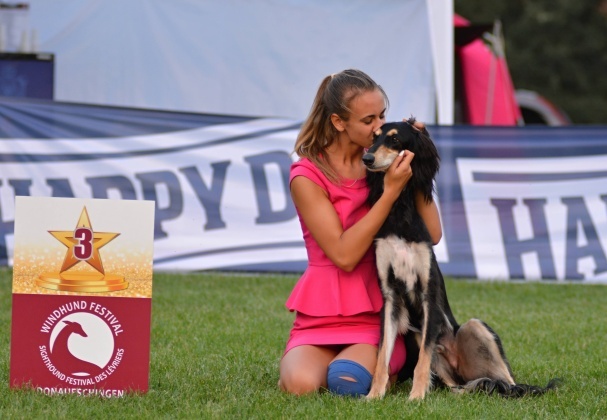 1 /2, CAJC, Central European Junior winner 2018 > NEW CZECH JUNIOR CHAMPION! 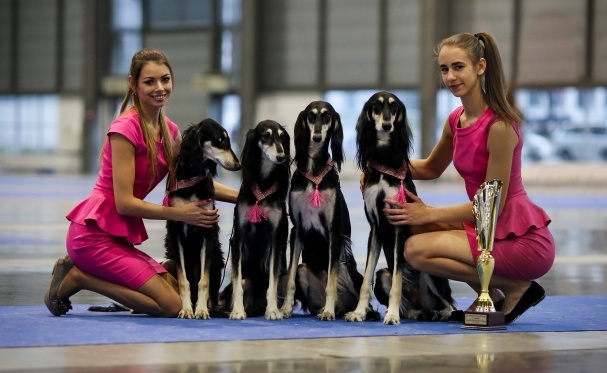 BREEDING GROUP Al Zahra - BEST IN SHOW Chovatelská skupina! 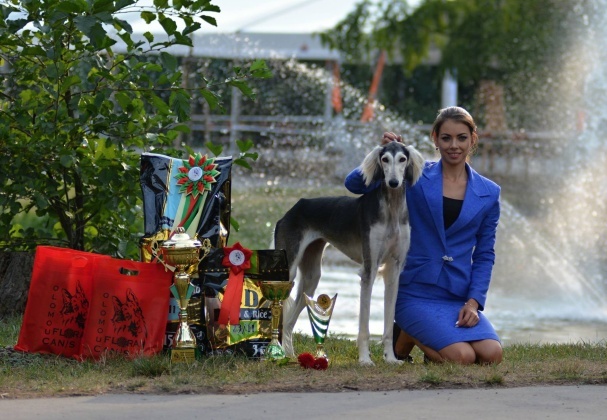 HARMONY AL ZAHRA JUNIOR WORLD WINNER! JCh. 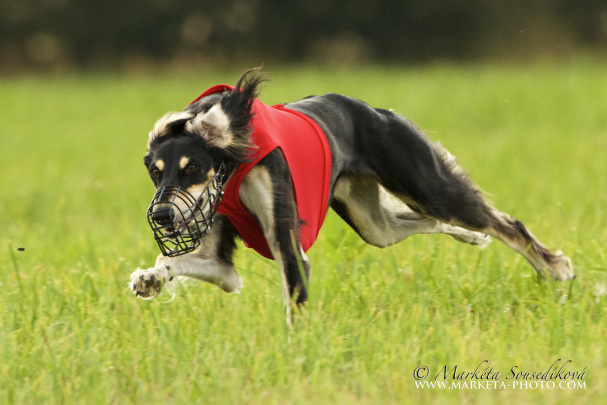 Harmony Al Zahra - Exc. 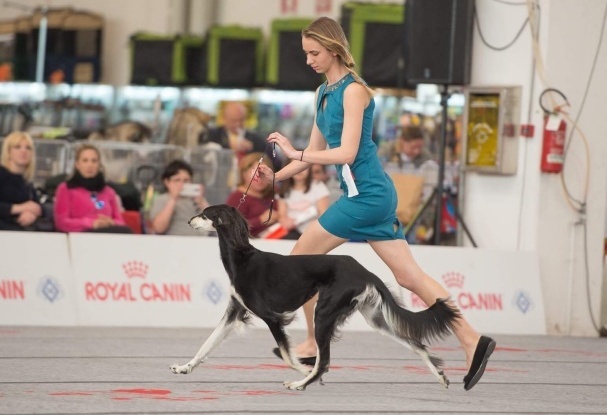 1 /14 JUNIOR WORLD WINNER 2018! 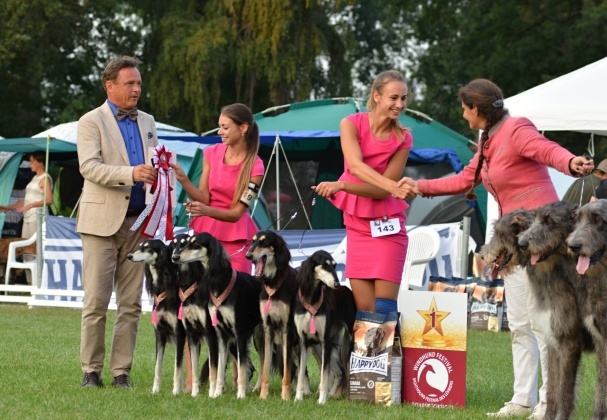 EU JW 2017, EJSH 2017, BIS, JBIS, Ch., Grand & Multi JCh. 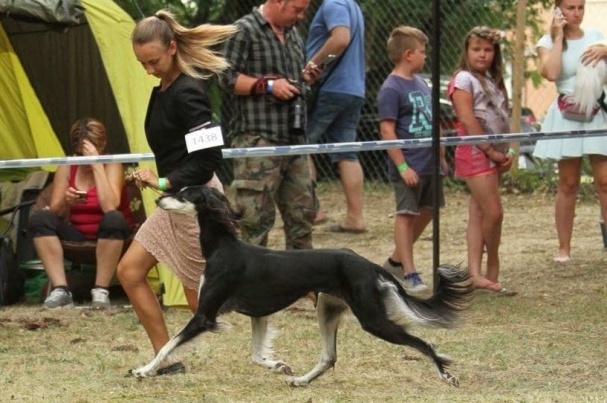 Gloria Al Zahra - Exc. 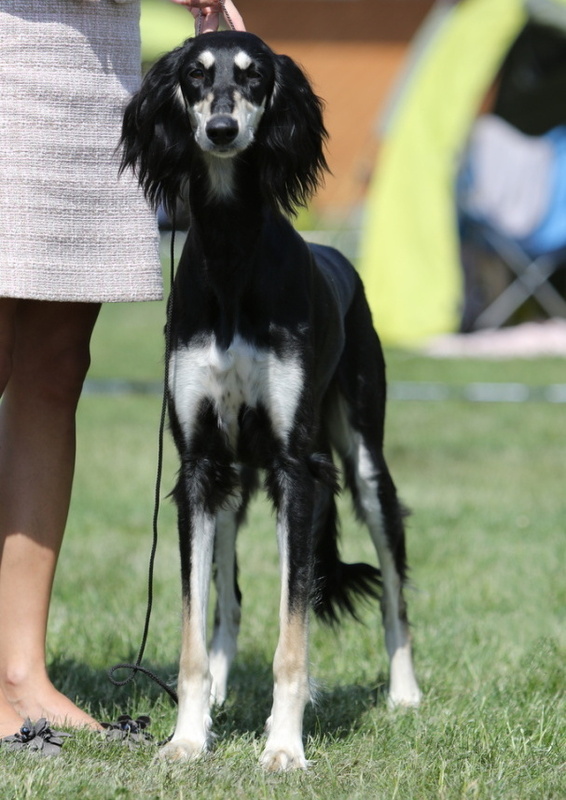 1 /14 Winner of open class! 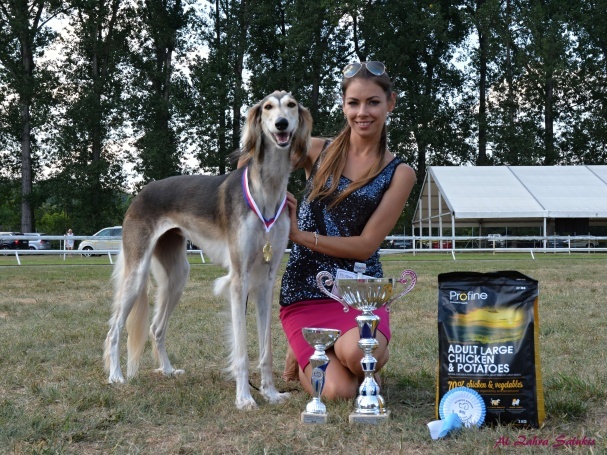 AZHARA AL ZAHRA FCI EUROSIGHTHOUND VETERAN WINNER 2018! EW, ESW - BIS, EJW, ESJW, ESVW, Grand & Multi Ch., JCh. 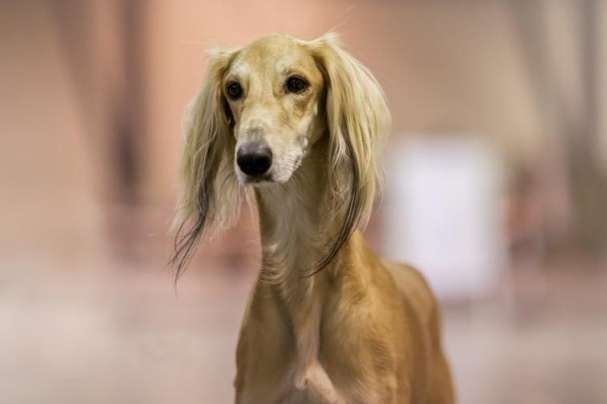 Azhara Al Zahra - Exc. 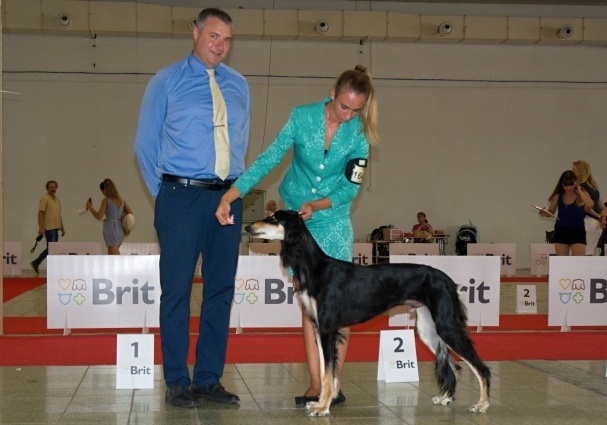 1 /2, FCI Eurosighthound Veteran Winner 2018! 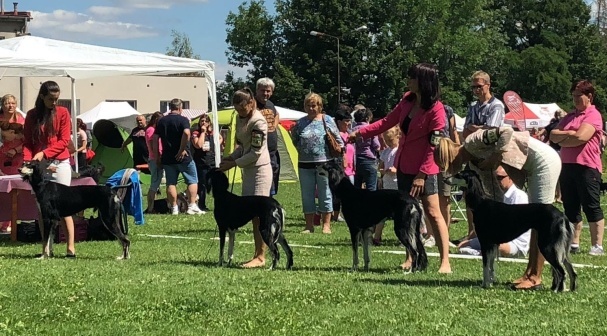 BREEDING GROUP AL ZAHRA TWICE BEST IN SHOW! 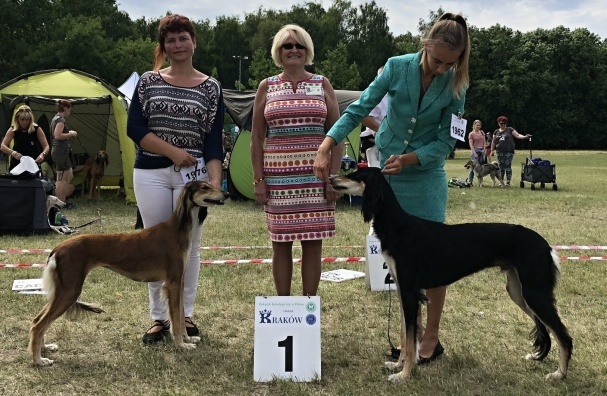 The Al Zahra team travelled to Sweden to compete at the prestigious shows of the Swedish Saluki Club and the Skokloster Summer Show held near Stockholm. 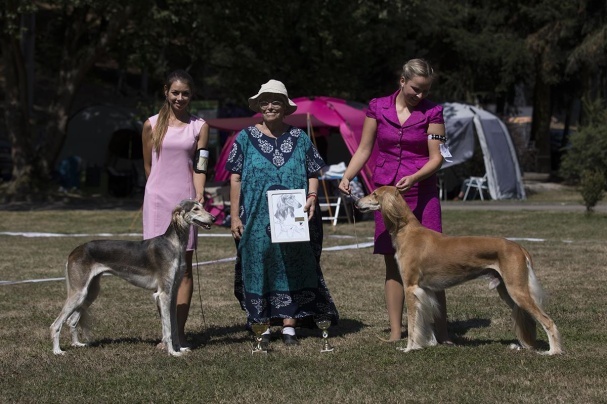 The judges for these three well known shows were: Deric Aube (Z'Bee Salukis, USA), Shuichi Suda (Vogue Salukis, Japan), Bitte Ahrens (Italy), Barbara Ruth Smith (Sweden). 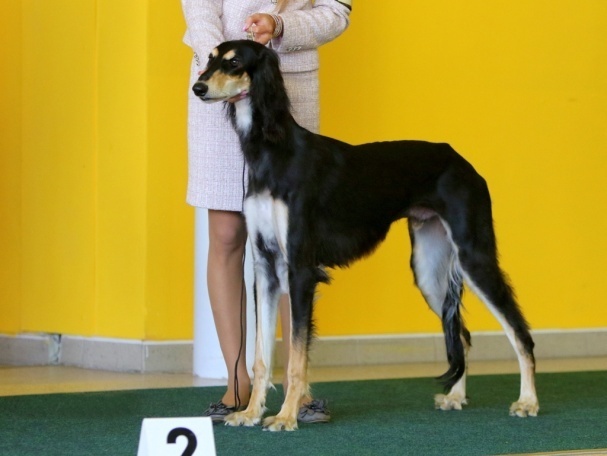 In a competition of 219 salukis and 17 kennels, the Al Zahra team won the title of BEST IN SHOW Breeding Group from the respected judge Mr. Shuichi Suda. 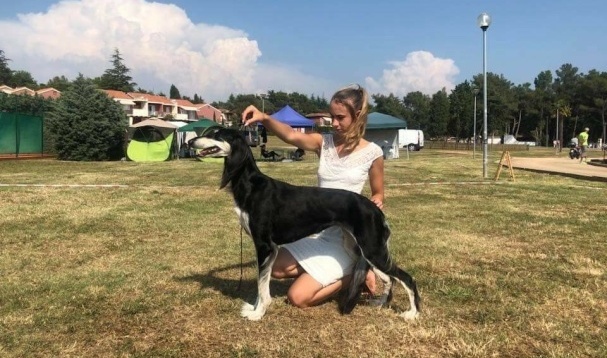 In his report of the kennel group Al Zahra commented on the beauty of the head type, expression, front and rear angulation and its smooth and light movement. Excellent results were achieved by all Al Zahra team participants even in individual assesment in their very crowded classes. 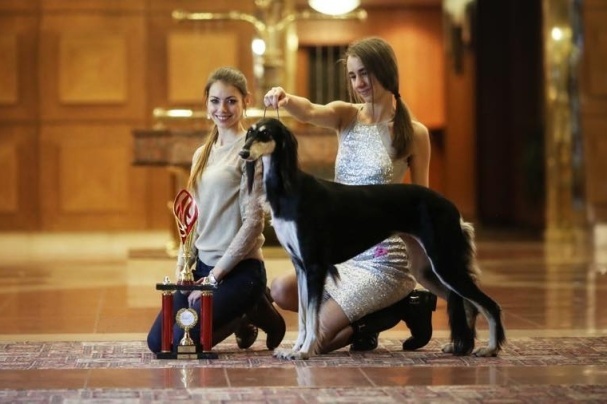 AL ZAHRA BEST BREEDING GROUP! 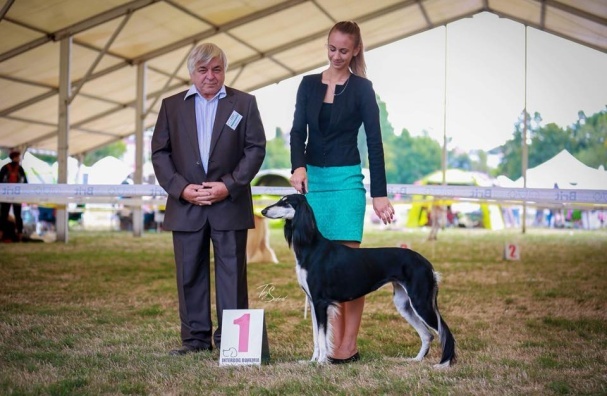 Hatima Al Zahra - Exc 1, CAJC, Junior BOB, BEST OF BREED, res.BEST IN GROUP! EU JW 2017, EJSH 2017, BIS, JBIS, Ch., Grand & Multi JCh. 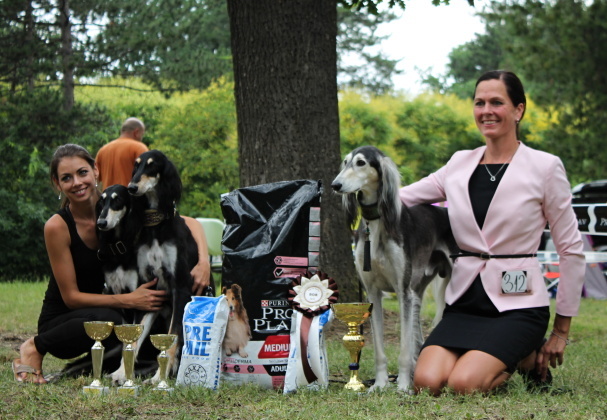 Gloria Al Zahra - Exc 1, CAC, National winner, BOB, res.BEST IN GROUP! EU JW 2017, EJSH 2017, BIS, JBIS, Ch., Grand & Multi JCh. 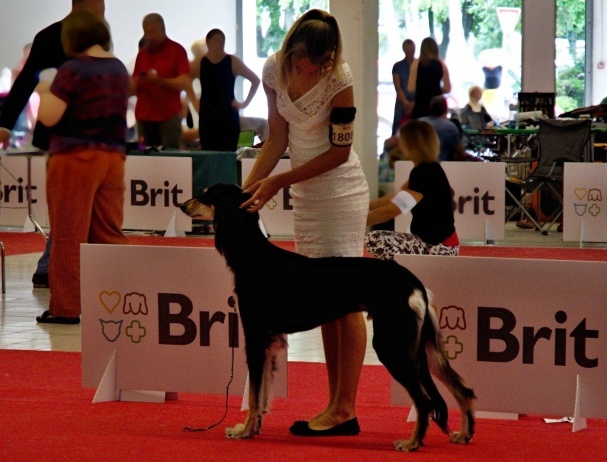 Gloria Al Zahra - 3x Exc 1, 3x CAC, 2x CACIB, BOS, 2x BOB, BEST IN GROUP => CHAMPION OF SWITZERLAND! Ch., LCCh. 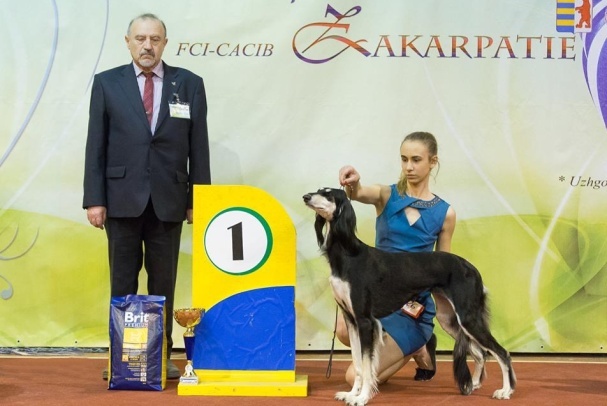 Etham Al Zahra - CAC, CACIB, BOB => SERBIAN CHAMPION, new INTERCHAMPION! EU JW 2017, EJSH 2017, BIS, JBIS, Ch., Grand & Multi JCh. 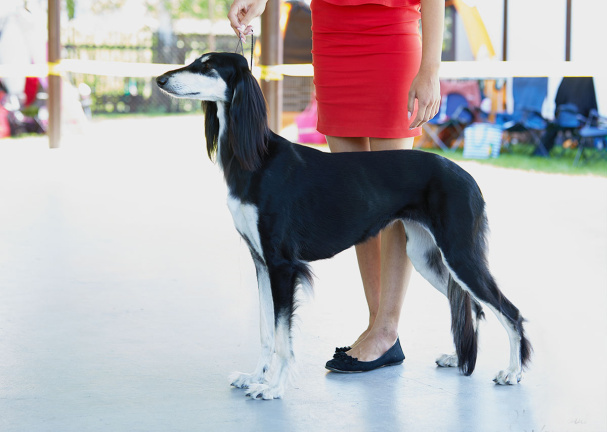 Gloria Al Zahra - Exc 1, Class Winner, Regional Winner, BOB, BIG, BEST IN SHOW! 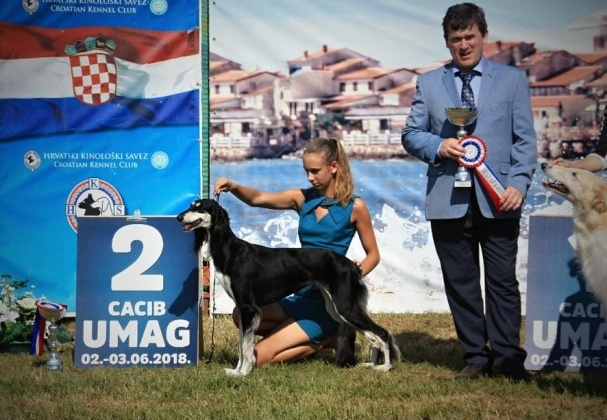 Hunter Al Zahra - Exc 1 /3, CAJC => CZECH JUNIOR CHAMPION! 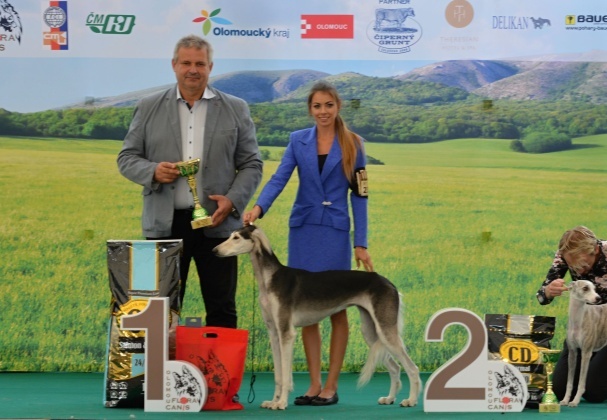 Euphoria Al Zahra - 3x Exc 1, 2x CAC, CACIB = CHAMPION OF ROMANIA + new INTERCHAMPION! EW, ESW - BIS, EJW - , ESJW, Grand & Multi Ch., JCh. 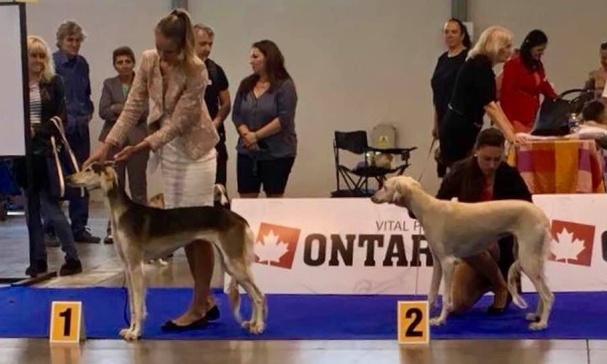 Azhara Al Zahra - Exc 1, BEST VETERAN, BEST VETERAN IN SHOW! Ch. 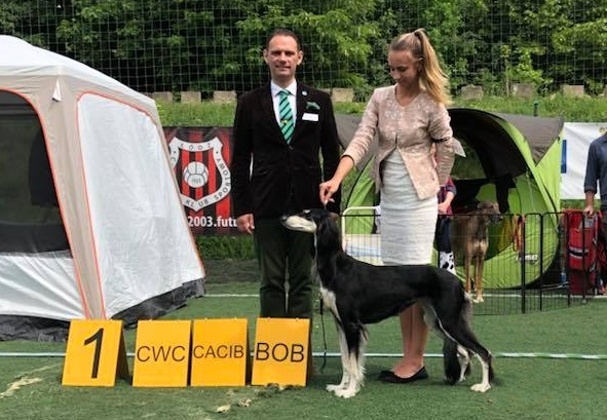 Etienne Al Zahra - Exc 1, CWC, BOB! EU JW 2017, EJSH 2017, BIS, JBIS, Ch., Grand & Multi JCh. 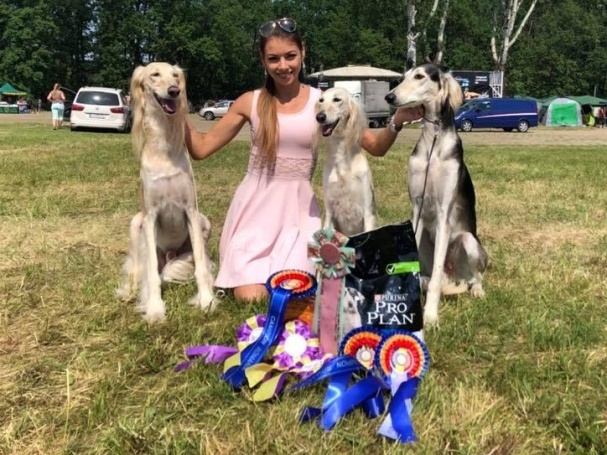 Gloria Al Zahra - BEST IN GROUP 3! Grand CH. 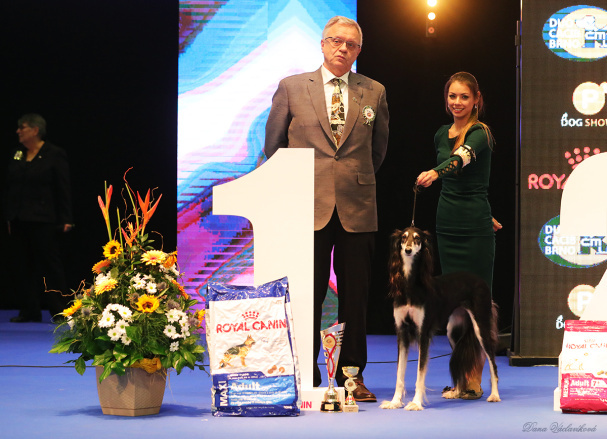 Euphoria Al Zahra - Exc 1, CWC, res.CACIB => new POLAND CHAMPION!